Good used cars for sale Oakville – Budds’ BMW Oakville. If you are living in the Oakville area and you are looking for good used cars for sale Oakville, we recommend that you come into our Budds’ BMW Oakville dealership, or visit our website today! Finding good used cars for sale Oakville is easy with Budds’ BMW Oakville. We pride ourselves on providing our valued clients with the best quality customer service from the moment you step foot into the dealership. Getting the same customer service on our website is also important to us, and we make sure that you have a variety of options of how you can find good used cars for sale Oakville. 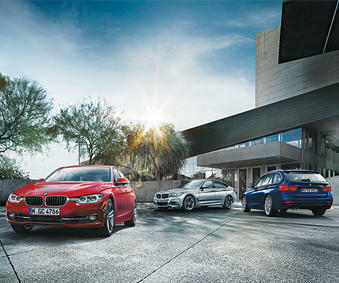 BMW is a premium car brand and we are very well known around the world. BMW makes a variety of vehicles that are constructed with high quality materials, and the latest innovations in technology. Our pre-owned inventory is stocked full of exceptional driving machines that you can choose from that include all the latest technology and high quality materials. Whether you are looking for an SUV, sedan, coupe, sportscar, or luxury vehicle, when it comes to good used cars for sale Oakville, we have got what you need. Online Searches for Good Used Cars for Sale Oakville. Finding good used cars for sale Oakville can be done with our online inventory at Budds’ BMW Oakville. Our vehicle inventory is stocked with current and previous year cars that are sure to give you the driving experience you are wanting. Just because you are shopping for pre-owned BMW vehicles does not mean you will be sacrificing on the quality in any way. You can search for any bodystyle you want with our online filter options. SUVs, convertibles, coupes, sedans, sports cars, and pickups are all available, and you can select only the kind of bodystyle you want to appear in the searches. You also have the option of choosing the exact model you want, if you are looking for prices on one specific vehicle, or looking for a specific color etc. However, color is another filter option that you can select that will narrow down your search as well. If you can’t find the good used cars for sale Oakville that you are looking for on our Oakville website, we have given you the filter option to choose our Budds’ BMW Hamilton website, and see if the car you are looking for is available there. We have made it very easy and convenient for our customers to look for good used cars for sale Oakville. We pride ourselves on our customer service, and providing such a convenient and useful tool as our online inventory goes directly in line with this. If you are living in the Oakville area and you are looking for good used cars for sale Oakville, we recommend that you come visit us at our Budds’ BMW dealership, or take a look at our pre-owned inventory online. We guarantee that you will find what you are looking for, and once you do, you can schedule a test drive in that vehicle to become better accustomed to it. You can also contact our representatives via phone or email if you have any questions.